On his deathbed, Guénon gave instructions for a compilation of articles that together would form a good supplement to the book Aperçus sur l’Initiation (Perspective on Initiation). That book was the first that I read of Guénon and is it one of the most difficult and most difficult to read. Now none of Guénon’s book are easy to read and I have also often said that Guénon is very good at saying what is not ‘it’, the preface of Initiation & Spiritual Realization promises a more practical and in depth book. Very promising indeed! I can tell you, this book still is no guideline or manual for those wanting to walk the path of “initiation and spiritual realization”, Guénon remained Guénon. On the other hand, it is also true that of all his books (that I have read so far), this is the most practical book and is also the one book in which the writer vaguely hints towards what ‘it’ is. You will read about gurus and upagurus, tue and false spiritual teachers, iniatic affiliation, the sacred and the profane, the initiatic degrees, the necessity of traditional exotericism and much, much more. There are 32 chapters/essays (in 208 pages). In most texts Guénon (further) explains very specific concepts that are misunderstood. Still, you really have to read between the lines to make the information of practical use. In this book Guénon does dive into the deep and the reader that is ready for it, will probably find this his most ‘workable’ book. I would advice to no start with this book if you never read Guénon though. The Crisis of the Modern World is a better starter, maybe The King of the World and then perhaps a book such as this one. Another compilation of texts by A.K. Coomaraswamy compiled and introduced by his son Rama Coomaraswamy. This time “on myth and meaning”. Like in the other book there are very interesting articles and articles which are just a nice read. Coomaraswamy tends to write too lengthy and treading too many sidepaths sometimes. The introduction by Rama Coomaraswamy is again a nice one. Also the opening article “Myth And Mind” is magnificent. 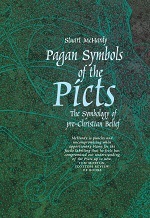 Towards the end there is an article “Literary Symbolism” which is also a great read. For the rest there is a lot about Coomaraswamy’s pet topic, modern ‘art’ in comparison to traditional art. Coomaraswamy was a traditionalist with an oriental background, but he studied so much Eastern and Western literature that he makes a lot of cross-references which is highly interesting. Not the easiest literature, but a must-read if you are interested in the traditionalist worldview, comperative religions and symbolism. However the republisher has Die Symbolhistorische Methode as “Band 2” of the Schriftenreihe: aus Forschung und Erfahrung, I advise to read Allmutter first. I haven’t been able to find out when these booklets were first published, but Herman Wirth lived from 1885 to 1981. Recently a Dutch book was published about the man who was born in the Netherlands, but who moved to Germany. Since Wirth met Himmler and became head of the Ahnenerbe, he is one of those ‘forbidden’ writers. I only heard about the man, read the article in Tyr volume 2 and then I noticed that the German mailorder Nordwelt Versand has these two small booklets. 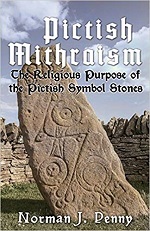 The symbolhistoric method is a 22 page guide through Wirth’s ideas on symbolism and the “Ur”-culture from which the Western cultures sprang. He explains symbolism that he found in rock-carvings, painted animal skins, etc. compares them and points out a line of how he came to his conclusions. However I don’t always follow the man, it is nice to read his theories on the evolution of symbols and the explanations he gives to them. Other ‘symbologists’ such as Farwerck or Logghe surely got some light from this Dutch/German writer. Allmother has about 75 pages with much more symbols and this time also a lot of photos and images. The booklets are very cheap, so a nice introduction into an interesting thinker.